William Galston is Ezra Zilkha Chair and Senior Fellow in Governance Studies at the Brookings Institution. Formerly Dean and Saul Stern Professor at the School of Public Policy at the University of Maryland, Galston specializes in issues of American public philosophy and political institutions. He is working on several projects pertaining to core questions of American public philosophy and policy. Among these are developing new forms of economic security for 21st century American workers, updating the U.S. social compact, and advancing policies that are in the nation’s long-term fiscal and economic interest in a political environment biased toward achieving short-term gains while avoiding hard choices. He is also a leading contributor to an exploration of the causes, consequences, and possible correction of polarized politics, a major initiative at Brookings. After serving as a sergeant in the United States Marine Corps and then receiving his Ph.D. from the University of Chicago in 1973, Galston taught for nearly a decade in the Department of Government at the University of Texas, and later at the University of Maryland. In the 1990s, he served as deputy assistant for domestic policy to President Clinton, and later as executive director for the National Commission on Civic Renewal. Galston was also the director of the Center for Information and Research on Civic Learning and Engagement (CIRCLE), an organization he founded with support from the Pew Charitable Trusts. 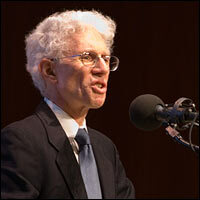 From 1995 through 2005 he also directed the Institute for Philosophy and Public Policy at the University of Maryland. He is the author of eight books and nearly one hundred articles on questions of political and moral philosophy, American politics, and public policy. His most recent book is Public Matters: Politics, Policy, and Religion in the 21st Century (Rowman & Littlefield, 2005). Galston is also a co-author of Democracy at Risk: How Political Choices Undermine Citizen Participation and What We Can Do About It, published by the Brookings Press.